Research firm Gartner, Inc., released its analysis of global smartphone sales on Wednesday, showing that around the globe smartphone sales are up by 7 percent, with Apple and Samsung wrangling for the number-one spot in total market share. The decline of the BlackBerry is stark. Though it was able to maintain a healthy share of the market for a good portion of the late aughts, even while iOS debuted in 2007 and Android in 2008, it began to quickly decline in this decade. 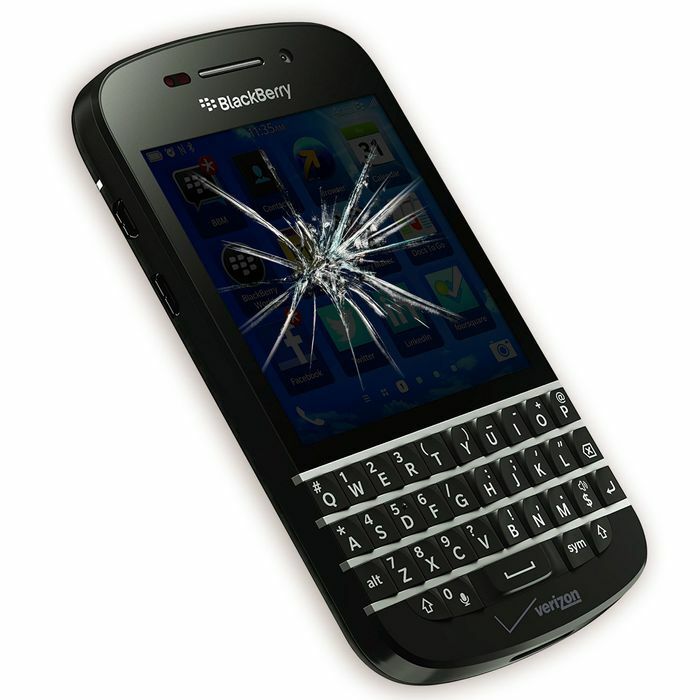 It’s a trend that’s unlikely to reverse itself: BlackBerry announced in September of 2016 it would stop manufacturing phones and instead focus on software. 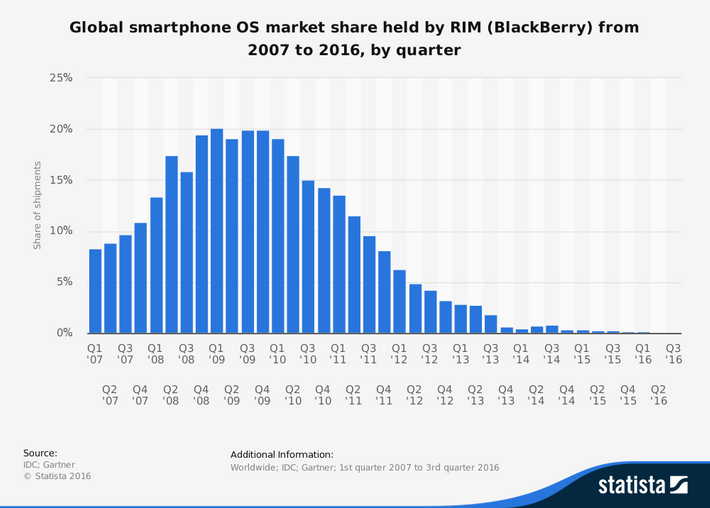 In a way, it’s surprising that even 200,000 phones running the BlackBerry OS sold in the fourth quarter of 2016; the last phone BlackBerry released running its own OS was the BlackBerry Passport, a massive chunk of physical Qwerty keyboard that looked a bit like a stack of old-school 3.5-inch floppy disks. It was released in 2014 to generally mixed reviews. BlackBerry’s newer phones, like the BlackBerry Priv and DTEK60, are now powered by a modified version of Android. Still, for those who demand a physical keyboard, BlackBerry will always be there. Chinese consumer-electronics upstart TCL essentially bought the brand name, and will be releasing a new phone, right now known only as the BlackBerry “Mercury,” at the Mobile World Conference at the end of the month.